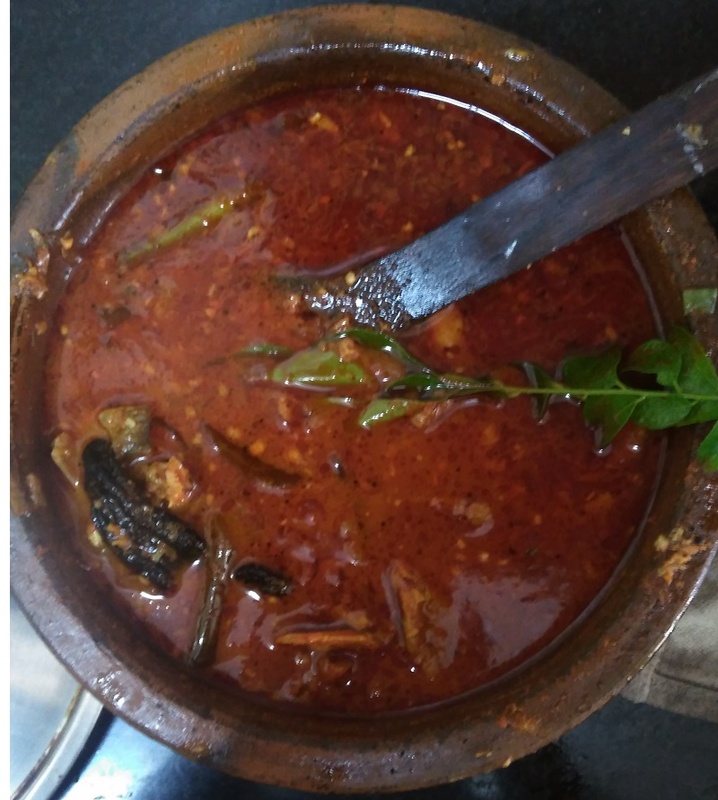 Whenever I go to my home, My mother prepares the best Kerala Fish Curry for me and it will be waiting for me for my first meal at home. 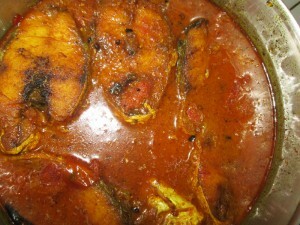 The taste of the fish curry is so great and thus I want to share it and below is the recipe. 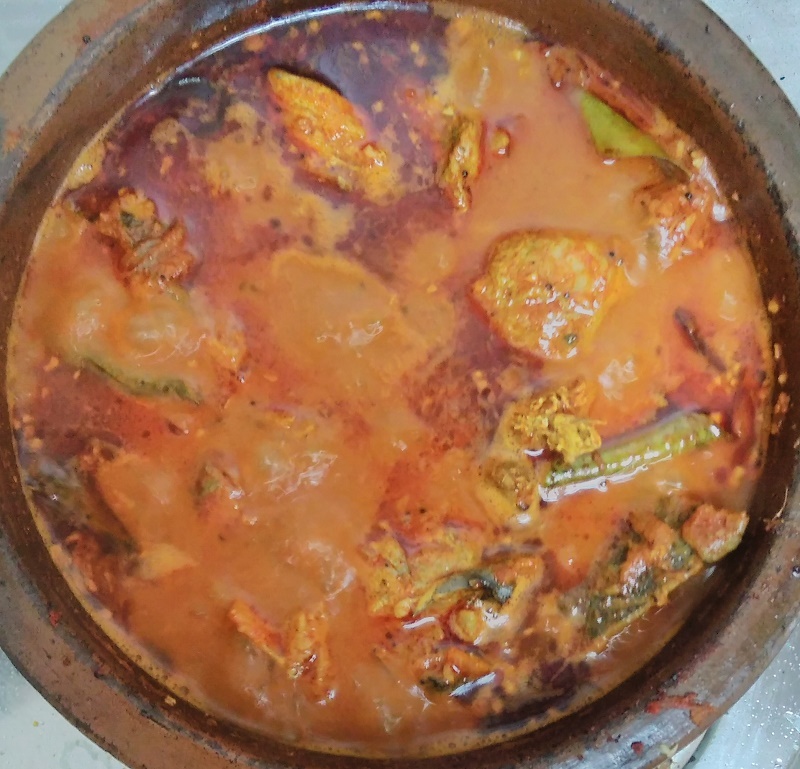 The sweet and sour taste of Kudam puli, the rich taste of other spices makes the fish curry tastes great with rice or Kappa.This is my alltime favorite fish recipe. I will shortly post the recipe to prepare Kappa. A pod of Garlic with around 6-7 big pieces. 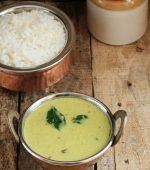 ¼ teaspoon of Fenugreek or otherwise know as methi or ouluva ( 20 pieces) More Fenugreek seeds will give a sour taste for the curry. 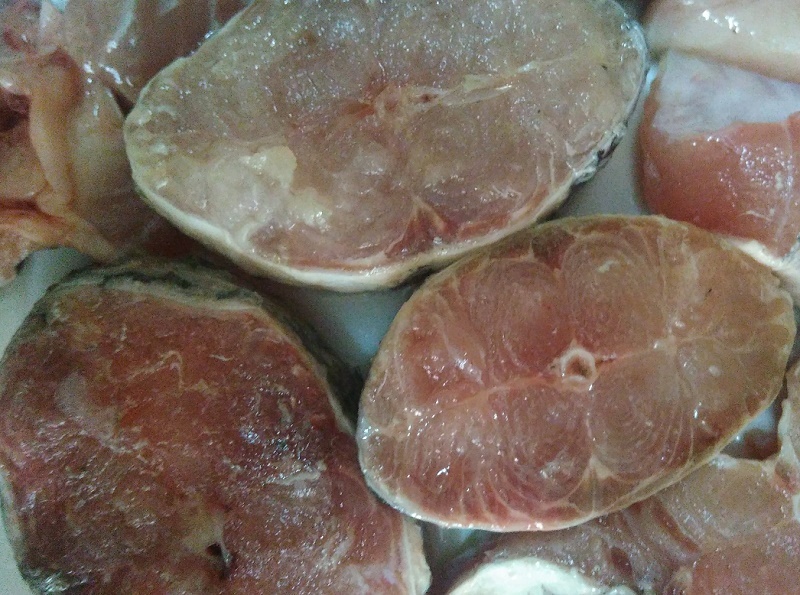 2 or 3 pieces of Kudampuli or otherwise know Garcinia Cambogia. 2 Heaped spoon teaspoon full of Kashmiri Chilli powder. 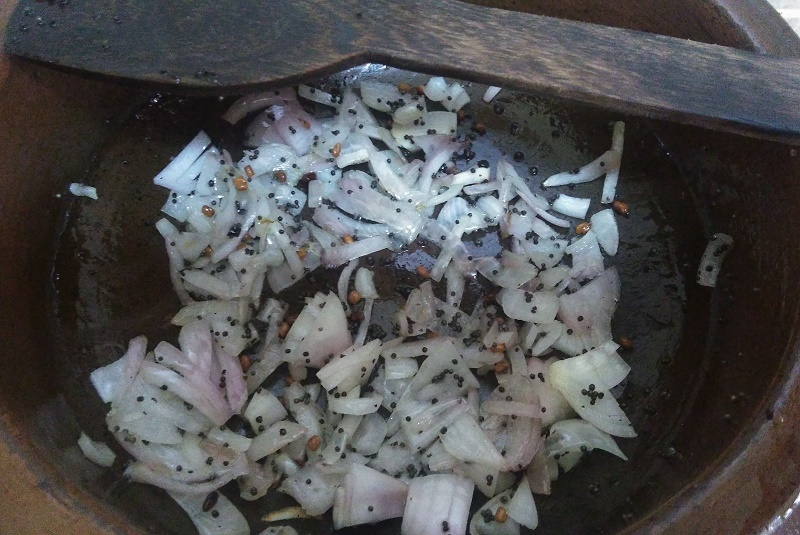 One Small onion cut into fine pieces, ( Use of shallots or kochuli will give it the proper taste. Make a paste of Salt, pepper powder and Turmeric powder which is listed in "For marinating fish" heading in the list of Ingredients. In half cup of water add the kudampuli and let it soak for half an hour. Before the preparation,take a small bowl and make a paste of Chili powder, coriander powder and turmeric powder with enough water. Prepare Ginger and Garlic paste user a mortar and pin or using a mixer grinder. In a pan add enough oil and splutter the mustard seeds. 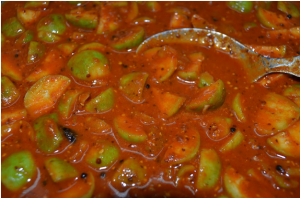 Add fenugreek seeds into it and saute it till it becomes slightly dark. Add few curry leaves for a better taste at this point. 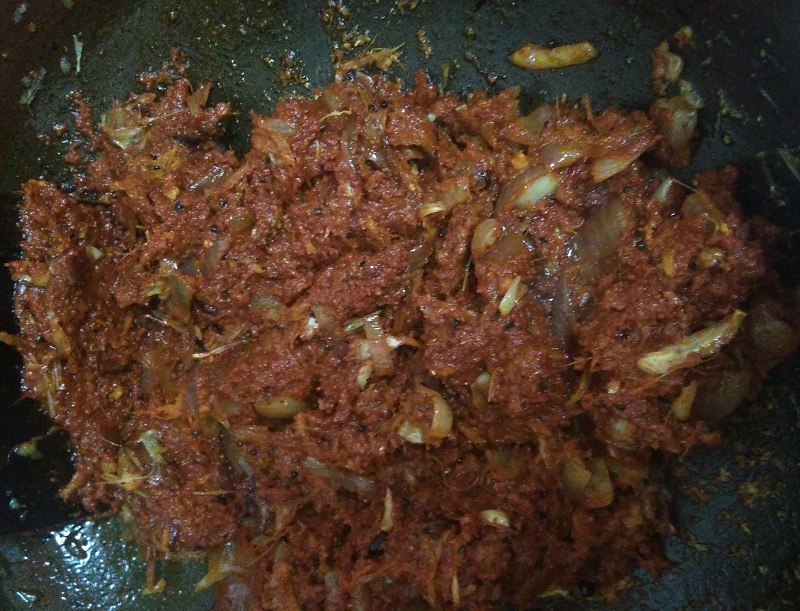 Toss onion into it and saute for a while till the onion become translucent and properly cooked. 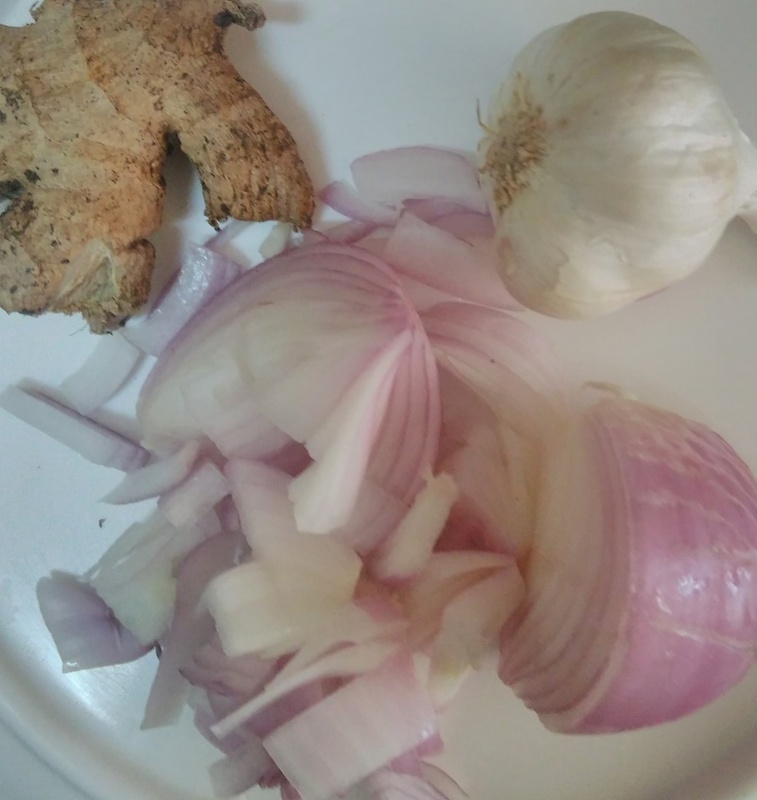 Add Ginger and garlic into the pan and saute for few minutes till the raw smell of the same is away. 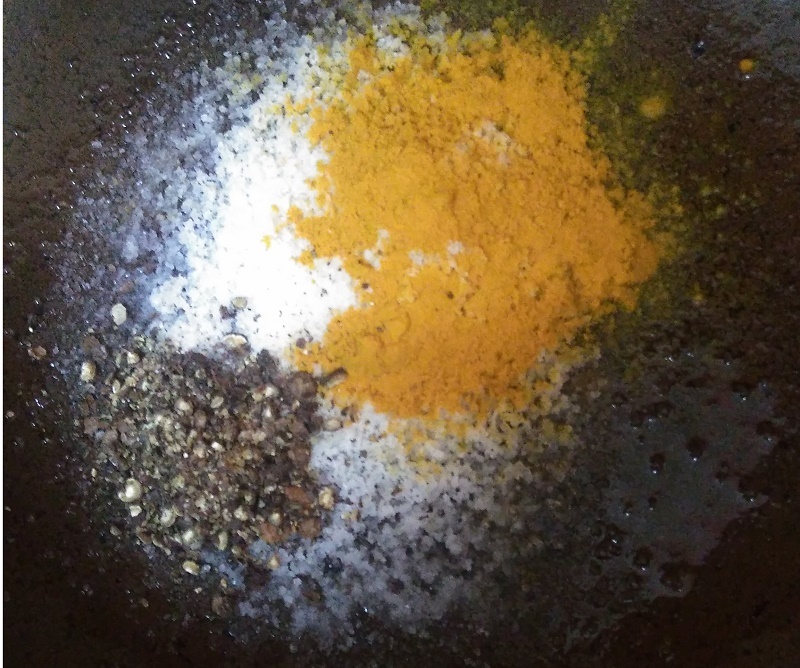 Add the pre-prepared paste of Chili powder, coriander powder, and turmeric powder into the above pan and fry it for few minutes in low flame till the mixture slightly darkens or start to change its color. Add enough water so that the fish pieces can be properly immersed in the above mixture and boil. Let the fish cook properly in low flame. Add enough water so that fish pieces can be cooked properly. Once cooked flesh will be soft and edible. 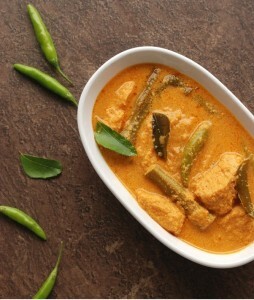 In olden days fish curry is prepared a day in advance so that the fish gets the proper spicy flavor and taste. If you like the taste of Coconut oil, use it for sauteing. 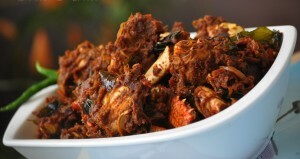 Kerala fish curry taste best if prepared with coconut oil. 1)Make fishes in to pieces of proper size, cleaned. 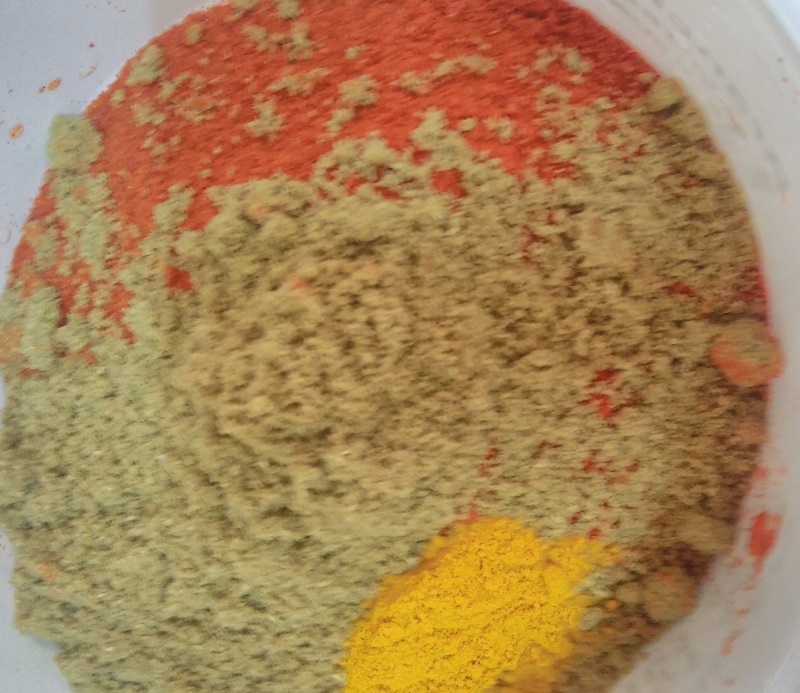 2) Marinate the fish pieces using the Salt, turmeric and pepper powder of for some time. 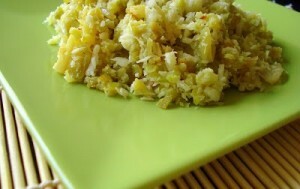 3) Slice onions, Crush Ginger and Garlic. Splutter mustard seeds,Fenugreek, saute Onion then Ginger and Garlic. Add spice mix and saute. Add enough water,boil and cook fish in the gravy. Once cooked garnish with Curry leaves and serve.